MAKING unnecessary noise or fake promises or echoing slogans to entice voters as part of political acting at their expense just to reach the Parliament are no longer useful. This is the sad truth that opposition figures rushing to contest the elections must know very well so they could abandon their previous performance. Whoever promises to restore the revoked citizenship is a fool. Whoever thinks of bringing back gasoline subsidy will have what he wrote deleted. Even those hiding behind the religious veil to promise people heaven by growing their beards will meet their fate. Everyone has become aware that their first and last concern is bribing voters off public funds. Gone are the days for those who consider themselves the majority, whereas the reality proved them to be liars. We are in a different era now compared to the time before the voting system was amended. They rejected the ‘one-vote’ system in the beginning and exhausted all means to impose their will to repeal it, but it has now settled as basis of the new equation in the elections. In the last two terms, we saw how things gradually changed as every candidate showed their true colors. If they still think they are the majority or will be the weighted majority, they are mistaken. 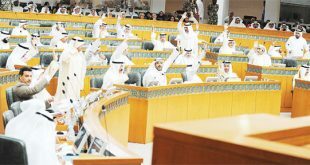 People’s reactions over the past days have proven that Kuwaitis recorded and saved in their memory everything that such candidates did during their time at the Parliament — from interrupting legislation to passing laws which burdened the State and threatened financial solvency in crippling institutions, starting with the social security institution and it did not end with investments. They even prevented the passage of development projects and the cycle went on to include the overseas treatment. All these were attributed to their altercations and claims to protect public funds. 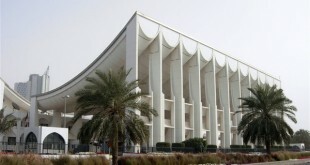 They brought all types of afflictions and fanaticism — whether tribal or sectarian — to the Kuwaiti culture. Also, Kuwait remembers very well how they bragged about the volume of votes they got through the four-vote system which distorted true representation in the Parliament due to bribery, vote-buying and exchange of votes between allies. All these will not be there in the coming elections because the current voting system curbed a lot of malpractices. It has eliminated election bribery, as well as buying and exchanging votes. People’s mood changed in the past three years of political stability. Therefore, what the traders of fake promises are marketing right now will not work because the majority is already aware of their lies. 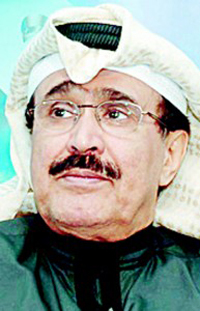 Kuwaitis are aware that if these people are given a chance, they will not be different from their predecessors. Consequently, it is up to the opposition figures to understand that “there is a State and men at each point in time;” and that in the last phase, they were not considered qualified to be future builders.